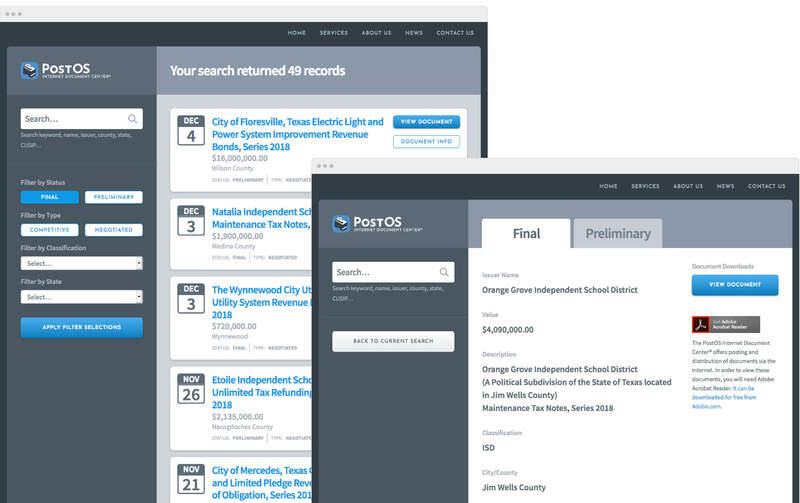 PostOS is the market leader in online distribution of municipal bond documents. We were hired to rebuild their 20-year old web application, modernize the interface, develop advanced searching capabilities, and simplify the backend document management. Our company first approached Bill to redesign our 20 year old website. I was eager for our site to be modernized, but hesitant where to even begin. and took the time to listen to and address our questions and concerns. Our website came out better than I could have imagined. Work production has sped up incredibly and our clients love its usability. Our business is in a niche market and I appreciate that he took the time to completely understand what we do in order to fully optimize our site. This experience has been easier than I could have ever anticipated and I love how our site turned out. I would recommend Bill to anyone seeking a great WordPress developer, I’m so thankful we worked with him!